Medical Assistant Certification - Front & Back Office - Revised, Fast Track Program! Medical Assistants greet patients in medical offices or other medical settings where they help doctors with examinations and treatments. They run routine lab tests such as urinalysis and take vital signs and run EKGs. They may give injections or perform ‘finger sticks’ to draw small amounts of blood if they are properly trained. Assistants may instruct patients about medication and self-treatment. High School Diploma or GED required. All students must pass an English and Math proficiency test. To receive program certification students must complete all classes within a 2-year time frame. All courses offer a full range of opportunities in preparation for the CCMA or RMA exam. Alan Bell is a Nationally Certified Medical Assistant and a licensed X-Ray Technician with over 18 years of experience in the medical field, and over 10 years of teaching. He has spend most of his career in emergency medicine, urgent care, orthopedics and is currently attending classes at San Diego State University. He has a great passion for teaching and loves being involved in making a difference in people's lives. 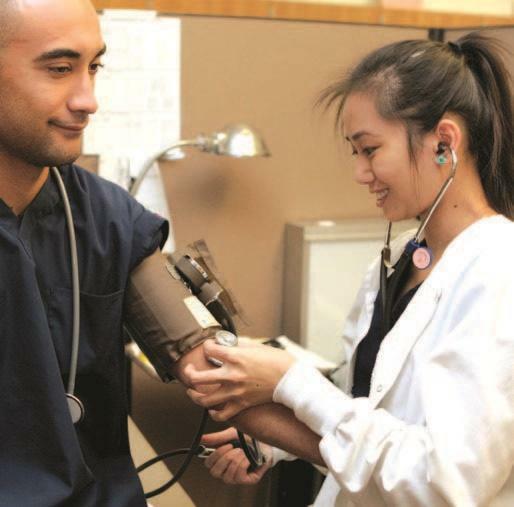 In addition, Medical Assisting Study Lab is offered for practice and reinforcement. Prerequisite: Successful completion of all required coursework, pass CCMA exam and instructor recommendation.